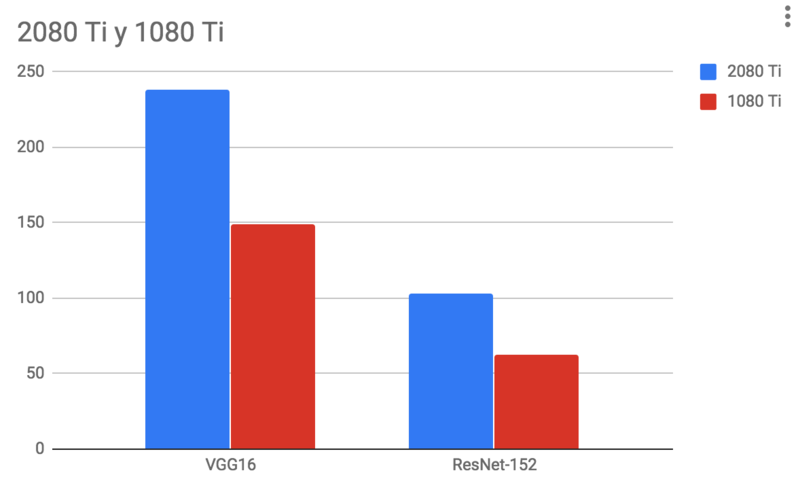 In this short blog post, we are going to show benchmarking results of the latest RTX 2080ti. We also will try to answer the question if the RTX 2080ti is the best GPU for deep learning in 2018? We use Ubuntu 18.04 with CUDA 10.0, Tensorflow 1.11.0-rc1 and cuDNN 7.3. We only had a GTX 1080 Ti to compare. In all benchmarks we used the same hardware and software configurations, we just swapped the gpu cards. For the test, we will use FP32 single precision and for FP16 we used deep-learning-benchmark. The throughput is the number of training samples processed per second. We will use some common models using synthetic data. We found that the 2080ti is 27% in average faster than the 1080ti on FP32 and more expensive. We expect better performance improvement with FP16. 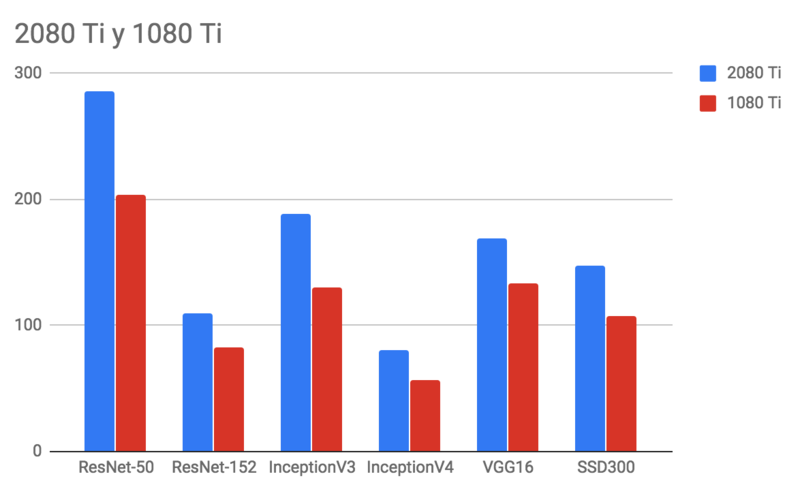 For some networks FP16 could be enough, some nvidia cards has faster computational unitfs for FP16 like the V100 processor. In average the 2080ti was 38% better than the 1080ti in FP16 benchmark.